After more than a year of small news stories, conflicting news stories, soundbites and bickering, what an extraordinary pleasure to listen to one lengthy, coherent, uninterrupted, logical, common sense narrative by the man who experienced all this first hand. 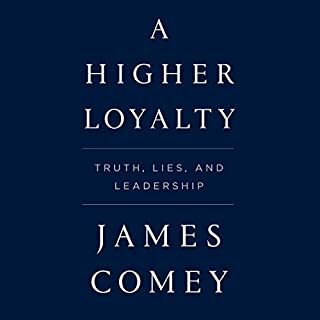 Thank you James Comey and the FBI, after hearing this my faith has been restored that there is some government institution that can keep the light alive in dark times and that justice is not a fading reality. I found this to be increasingly wider fields of generalizations unfolding over repetitious and uninspired descriptions of space into thin air - for seven hours. I don’t have confidence in the author or that any serious message, let alone a story or anything approaching a philosophy was communicated in this. I am at a loss about where the positive reviews could have come from or what made Audible think they should pass this off as content at any price. Maybe it’s me, but all I heard was hours of effusive monotonous gobbledygook. Sometimes form is content, and the medium is the message. This is a master speaking to a small gathering which is recorded for our benefit in a voice that that embodies Zen’s compassion, profundity and humor. An unforgettable voice. When listening, ask yourself how old this man is. I've done a lot of spiritual work and work around addiction over 20 years. I find this to be one of the most out right useful books I have come across. I'm not quite sure that it's a book because it is a live recording. 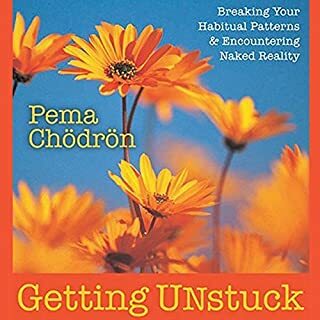 I've read books by Pima Chodron in the past, but had no idea how funny and light she is as a speaker, and this is so important because much of her message is in the inflection. Hearing interaction with the live audience is helpful as well. She has a beautiful agile and tough mind and spirit. I will be reviewing her concept of Shempa (hooked, addiction) in this recording and I'll be watching her YouTube videos for a long time. 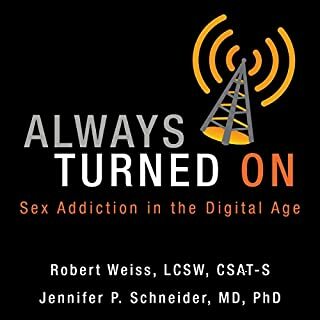 I thought this book did an excellent job at outlining the overall problem with online addiction. It lays out the scope of the problem and puts it in context. It recommends avenues and resources for help. 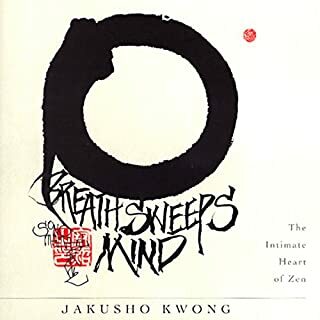 From this book I moved to Pema Chodron's GETTING UNSTUCK which I rate at five stars. Taken in the context of addiction, Chodren's book offers real world solutions via meditation practices. This is something I've tried in the past and was not successful at, but this book made all the difference, got me over the edge and into practice. From there I have gone to THE TRANSFORMATIONAL POWER OF FASTING. 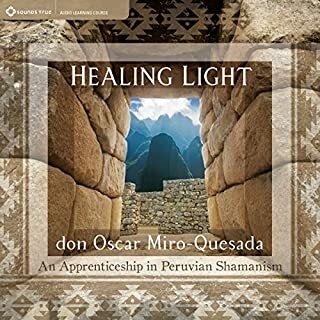 Seen in the light of a spiritual journey, this book helps put addiction in perspective, and shows real spiritual and physical gifts available to those who really want to push through. So that's three reviews in one – but I make the connections here to show you a path that has worked for me and doesn't leave you at the dead end of understanding the problem, but offers a series of solutions. This is not really a full review. This is more a warning that this book was written in the 1940s. I did not notice that before ordering it. 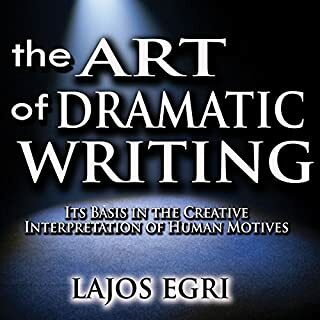 I tried for several hours to listen to it and was somewhat overwhelmed by how flat the narration was and how exhaustive the examples were; to the point where I forgot what was being discussed. There are better books out there on the subject.